It seems like only yesterday that we all moved to CFL (compact fluorescent) bulbs from traditional incandescent globes as a way to cut energy costs, reduce heat and be kinder to the environment. In the past year or so LED (light emitting diode) bulbs have been coming down in price and more of our clients are asking us whether or not to make the shift to LED bulbs across their home. Before you put your hand in your pocket and make the switch, here are a few things to think about before buying LED bulbs. Old bulbs used to be easy to understand. A 40W bulb wasn’t very bright and was great as a bedside lamp, and a 100W bulb was enough to show every grey hair and wrinkle when turned on in a bathroom. 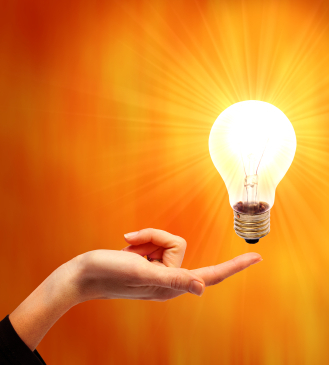 What you may not know is that watts are not a measure of brightness, but a measure of how much power a bulb uses. The real measure of brightness is lumens (lm). It just happened that in the old bulbs watts correlated pretty easily with lumens – so the more watts meant the brighter the light. Unfortunately that conversion doesn’t work with LED bulbs. 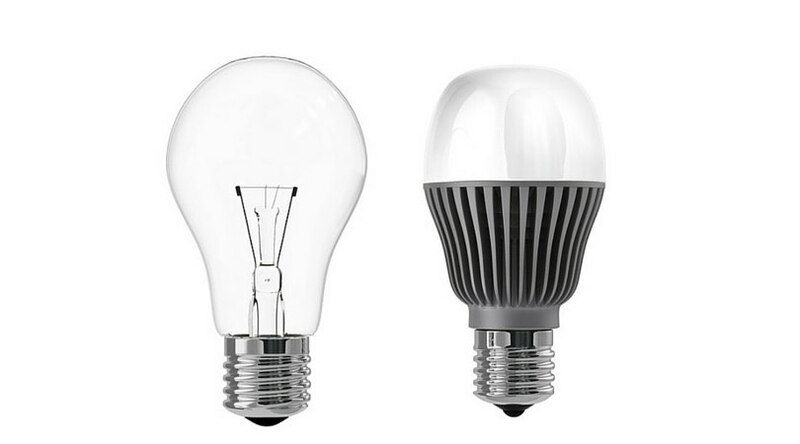 When buying LED bulbs, you need to look at the lumens. For a rough guide for your bedside lamp you are looking at about 400 – 450 lm, and for your kitchen (or if you are a masochist – your bathroom), you are looking for one or a number of bulbs in an area that add up to between 1500 lm to 2000 lm. The olden days you got to choose between pearl and clear bulbs. CFCs launched on the market and we started to get options of “colours” of white, ranging from warm white through to daylight and blue white. LEDs mean you can have pretty much any colour of the rainbow. With this choice comes great responsibility. Choose the wrong shade of white, and your home will look more like an operating theatre than something welcoming and friendly. That’s where Kelvin comes in. Kelvin is here to help you and measures the colour temperature. Lower numbers are more yellow and higher numbers more blue. Incandescent bulbs sat around about 2700-3500K. These are also often called “warm white”. Bright white sits around 4000-4200K and daylight about 5000-5500K. As soon as you get over 5500K you end up with a blue tinge to everything, and most people find it not peaceful for a home. One more thing you need to know about is CRI or the colour rendering index. CRI is the ability to correctly render colours. You may pick the perfect lumen and learn to love Kelvin, but get the CRI wrong and your world may look like a badly adjusted TV. The lower the CRI rating, the less accurate the colours. Look for a CRI of high 80s to 90s. One of the selling features is that LED bulbs last a long time, with marketing spin putting it at 20 years. No-one has tested the longevity in real time, so it pays to look at the warranty period for bulbs. This is where a bit of caution comes into play. If you buy cheap LEDs online or from an unknown brand, usually the warranty is not worth the paper it is written on as many of these businesses tend to go out of business at short notice. It pays to stick with a trusted brand that has been around for a while. Yes, it may cost a bit more per bulb, but you are more likely to have your rights protected and receive a quality product. Most LEDs you can buy over the counter can’t be used in traditional dimmer circuits. If you are looking for dimmable LEDs have a yarn with us to work out the best option for your needs. One last word of advice. There are vast ranges of LED bulbs out there, including LED Tube Lights and LED Candelabra bulbs, as well as ones that diffuse light or act as spotlights. It pays to get specialist advice on the right LED bulb to deliver the result you are looking for. Visit electrical lighting suppliers such as Cetnaj or Ideal Electrical or give us a call. We are happy to talk you through what you need.